Honda did not reveal the long awaited Civic Type R, but did reveal a little more about this car that is to be on the market from 2015. Manabu Nishimae, President, Honda Motor Europe revealed this hot hatchback will be powered by a turbocharged 2- liter engine that generates at least 280PS (206kW or 276bhp). 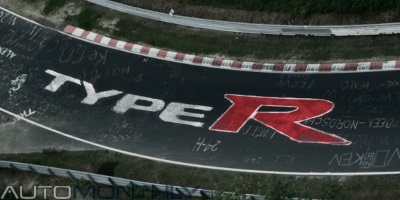 The new Honda Civic Type R has been caught testing several times in the last days. That information, together with this video teaser tell me we should soon see the official presentation of his long-awaited hot hatchback. A good chance is that Honda is bringing it to the Frankfurt Motor Show, but we will have to wait and see. Honda decided to give us the first look of the new Civic Tourer on a Saturday night, which is a bit odd. But who cares, what matters is that you have here what look to be the production version of the new Civic station wagon. Much is said about the aesthetics of this truck, how it is sleek and sporty, but it is up to you to say what you think. This is unusual. Honda is announcing a new damper system that will have its premiere on the Civic Tourer, so they took this opportunity to show a little more of this new model. 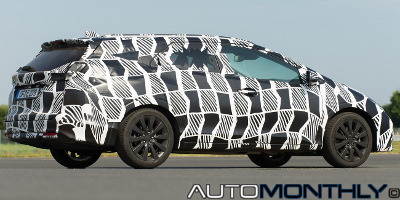 The only problem is that Honda decided to show it with camouflage, meaning they ended up showing almost nothing. I just hope is looks like the concept. 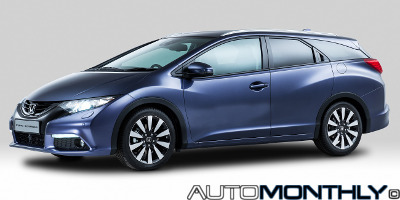 Honda will bring to Geneva the Civic Wagon concept, the NXS and a new engine. Check out the first teaser of the new 2013 Honda Civic, who will see its public reveal at the Los Angeles Motor Show tomorrow (29/11). It has a new rear wing and rear diffuser with bigger wheels. The current Honda Civic received many criticisms about the way it looked, a little dated, the trivial interiors or the lack of improvements in the engine department. So now Honda in giving the USA market a big makeover for it's flagship sedan.